Wow! Dear, you look amazing! !♡ You are looking flawless here! Such a cute velvet shade blazer and shoes! 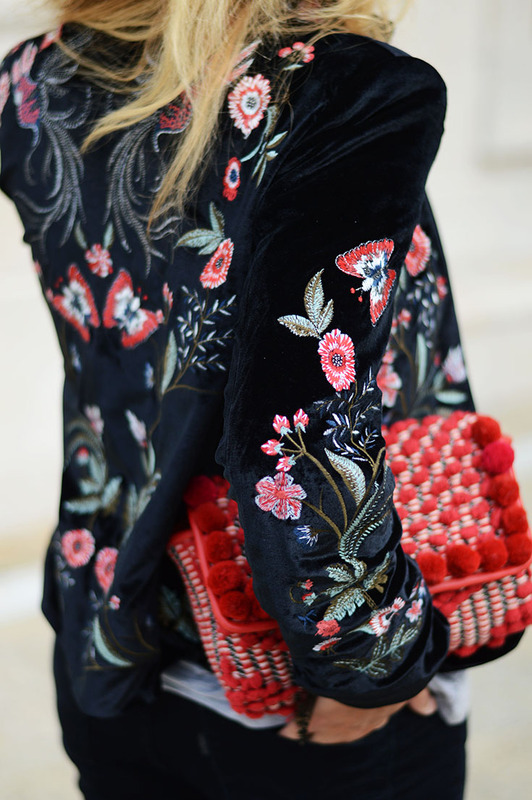 i’m obssed with this pom pom style hand bag. Encantada con esa chaqueta de terciopelo y ame la combinacion con ese bolso.